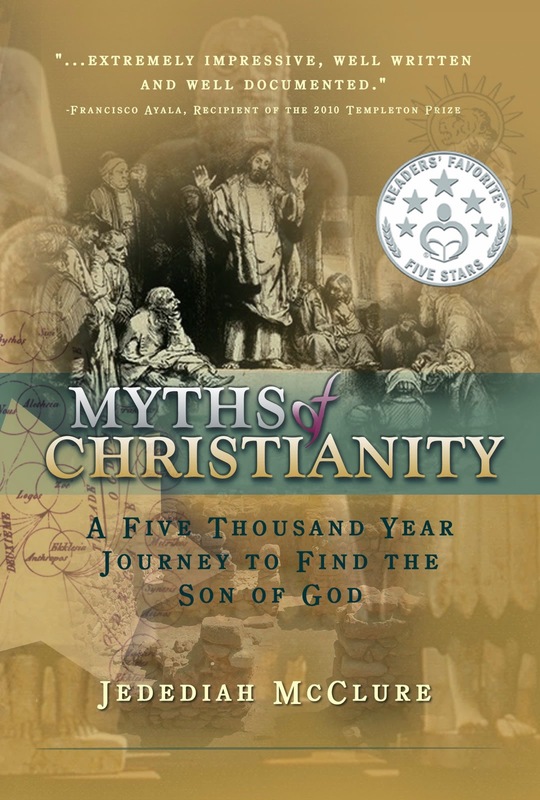 Today we are interviewing Jedediah McClure, author of Myths of Christianity: A Five Thousand Year Journey to Find the Son of God. The purpose of Myths of Christianity is to put aside any religious agenda and provide an honest and faithful study of the history and foundation of Christianity. While my book may appear at times devout and others subversive (in the best sense), its goal is to distinguish between uplifting Christian principles and stifling customs so we can better understand the life-affirming role Christianity is meant to play in our lives. Christianity is the world's largest religion claiming over two billion followers. However, with the vast proliferation of information over the last couple decades I am beginning to see two polar shifts: The first is a general skepticism (dare I say pessimism) toward religion and God in general. The second appears to be a fundamental, and even radical, response in the opposite direction to the growing skepticism. Many people want the truth but aren't satisfied with the status quo answers they receive in Church and so they jump to one extreme by rejecting religion in general. On the other hand, many people go to the opposite extreme by throwing themselves blindly into a specific denomination, supremely confident in the truthfulness of their group's beliefs. I think my book will appeal to anyone still in the middle ground - those who seek historical truth and want to know how Christianity can still play a role in their lives. My book is meant to temper the extreme beliefs of absolute certainty while showing the skeptics there is still good to be found in believing. 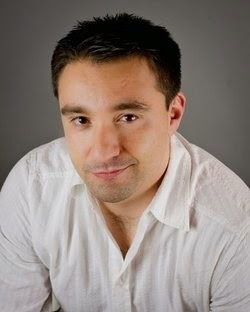 Jedediah McClure, author of Myths of Christianity. What inspired you to write a book on Christianity’s origins? I have always been a seeker of truth. I was raised in a staunch Christian home and believed the scriptures to be the word of God. I had all the best verses memorized, singled out for their life-changing counsel or wisdom and I truly believed I had a strong understanding of Christian doctrine. That is, until I actually studied the scriptures. In Seminary I realized the scriptures were full of contradictions, inconsistencies and inaccuracies. Not only did verses disagree with each other, but they often disagreed with the modern teachings I was hearing in church every Sunday. Every Christian denomination, I knew, believed they had the true gospel and each used the Bible, often the exact same verses (interpreted in their own special way) to support their own particular beliefs. I also noticed that many modern Christian teachings were not Biblical at all. I began to wonder where so many modern Christian traditions originated, if not the Bible, and why modern interpretations based on the Bible appeared to be so confusing. Because of my questioning nature, I wasn't content to just sit back and accept things that appeared confusing or contradictory. My quest to discover Christianity's origins led me to extensively study the writings and history of early Christian leaders as well as world mythologies. I discovered that regional mythologies and religious practices were often incorporated into the religious practice of the Christians. This resulted in countless variations of Christianity. Church leaders began calling for Ecumenical (unifying) councils in an attempt to establish a single, universal doctrine, often compromising on beliefs to make as many people happy as possible. But it didn't work. After over 1500 years of councils and treaties, Christianity is still as divided as ever. Worse yet, we are still attacking and "bashing" each other over variations in our beliefs. I felt it was time to start a discussion about Christianity's origins. My hope is that by understanding the origins of our own beliefs we will become more tolerant toward fellow Christians who's views differ slightly from our own. My book attempts to start that discussion. In your book, you state that Christianity took root in a chaotic era. For people who aren’t familiar with the period, could you describe it a bit? This may come as a bit of a surprise to many Christians, but early Christianity was by no means homogeneous. There were many competing factions within the early church, each holding different interpretations of who/what Jesus was (human or divine) and the role Jesus played in his life and death (was he a failed Hebrew king or apocalyptic Savior). In my book I identify sixteen different "Christian" groups that each believed in Jesus, in one form or another, but who competed with each other for followers. Some of these groups considered Jesus the mortal Messiah prophesied of old but did not believe he was resurrected or born of a virgin. Other groups believed Jesus was fully divine but despised anything Jewish, including the Apostles and the Hebrew Old Testament. These disputes escalated, sometimes violently. Eventually, in the fourth century at the Council of Nicaea, the questions of Jesus' identity and divinity were settled by vote (though not everyone agreed). From that time forward those who disagreed with the council were branded heretics and zealously ostracized from the Christian community. To add to the confusion of these competing "Christian" factions, you have to consider the environment in which this religion developed. This was an era dominated by Roman occupation and pagan influence. An era overshadowed by the destruction of Jerusalem and with it Jewish nationalism. It was also a period inundated in apocalyptic fanaticism: countless prophets, preachers and charlatans alike trekked across the empire performing "miracles" and each spreading their own versions of the Word of God. This was an age of confusion and competition! The apostles and first generation of Christians (those who actually knew Jesus) were all dead. For the second and third generation of Christians, all that existed to tie them to Jesus were the oral traditions surrounding Jesus and the Apostles and a few of Paul's letters. Access to authentic "gospel" texts (and thus authentic Christian teachings) were in limited supply while countless contradictory "gospels" vied for legitimacy. As a result, long-standing local traditions from region to region were incorporated into Christianity to fill in the doctrinal gaps that were missing. This altered (sometimes dramatically) the manner in which Christianity was practiced. How did you access texts related to early Christianity for your research? I have, proverbially, stood on the shoulders of giants here. I rely very heavily on the research of the best scholars, both past and current, and I had a great deal of help from experts in translations. Biblical scholars will likely not find anything new in my book, as most of the research has been around for a long time - in academic circles. Sadly, the mainstream public knows very little about the topic of Christianity's origins, and some of the information may come as quite a shock to many people. My book takes thousands of years worth of history, culture and doctrinal evolution and synthesizes it into a book that is enjoyable and easy to understand. What was the most interesting thing you uncovered while researching Christianity’s origins? Thus far, the responses have been amazing! It has caused some people to question some of the more dogmatic religious traditions that too often become divisive or damaging to one's faith. It has also helped others who are struggling with their faith see they are not alone, and while they might have reasons to doubt, Christianity has many good things to offer as well. Not a day goes by that I don't have an idea and say, "Now, that would make for a great book." For a while now I have been working on a book I have tentatively titled, "Why Won't My Faith Move Mountains?" It is focused on those Christians who struggle with their faith or who think their faith has failed them. The premise is that because of long-standing, dogmatic traditions, we may no longer understand God. Instead, we've chosen to trade in the actual God for a God of convenience who seemingly blesses us when we are good and let's Satan punish us when we are bad; A God who always answers our prayers (even if that means not answering them at all); and who allows bad things to happen to us for too many reasons to list. Essentially, we created a God that is great when we want Him to be great and a God for whom we make excuses when things fall apart. This God can't stand up to intense scrutiny and as a result we are seeing a growing crisis of faith across the entire Christian community. We need a new understanding of God, free from dogma and excuses, if God is to remain relevant in our lives. The Myths of Christianity is written to be informative but also fun and relatable. I use a lot of personal stories and modern comparisons (including Bruce Lee, several politicians and even Disney cartoons!) This is an entertaining and uplifting book intended to help the reader set aside the dogmatic and often divisive traditions so entrenched in our culture by revealing their forgotten origins. You may be surprised, you may be overwhelmed, you may even be troubled, but you will certainly never look upon Christian tradition the same way again.